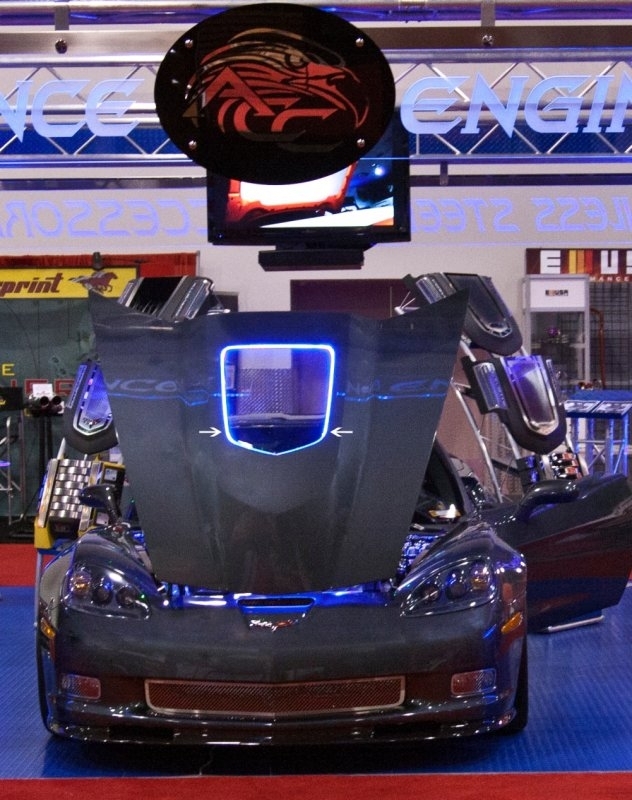 Introducing the ACC Illuminated Window Frame for Chevrolet's C6 ZR1 Corvette Hood, a state of the art LED accessory. Our Hood Window Illuminated Kit features high powered Blue LED's for the brightest and most vibrant color! This carefully designed, perfectly fitting, hand polished Stainless Steel frame is a simple peel and stick installation with the most fundamental electrical connections that will transform your C6 ZR1 Hood into a fantastic show piece that you will be completely proud of. Whether you take advantage of the ACC Engine Shroud Display Covers that this frame was designed for or just want to embellish your factory supercharged engine this is the way to go. This is a truly awesome custom accessory that will set your ZR1 apart from everyone else. NOTE: Fits ALL 2009-2013 ZR1 Corvettes with the stock, factory hood.